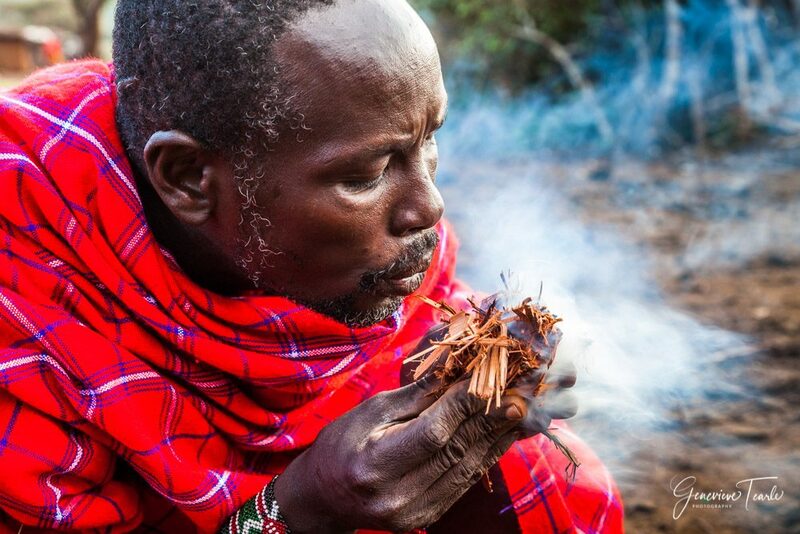 I visited a Maasai tribe near the entrance to the Maasai Mara National Park in Kenya. While they were showing me around, one of the elders of the village decided to show me how to light the fire without matches. He rubbed a stick into another piece of wood with a hole bored into it, over the blade of a knife. The embers that were developed from the friction were then collected in some thin scrapings of wood that he blew upon until it caught into a bigger flame.